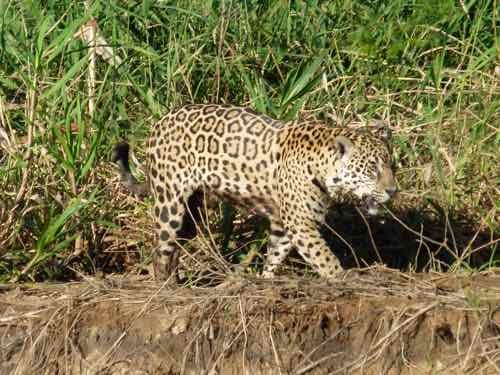 Sailing in the Caribbean... and those jaguars in Brazil. We mixed in a couple of trips to parts of Europe that were calling to us. So what gets you to planning your next trip? Adventure? Cuisine? Visiting friends? It’s all good. Time to start planning… check around our site and see if any of our stories inspire you. All our planning and packing pages are there to help you with your next trip. Early in the year there was a quick trip to Phoenix for some Spring Training baseball, friends, and antique airplanes, but the big trip early in the year was a cruise. Well not the whole Caribbean. 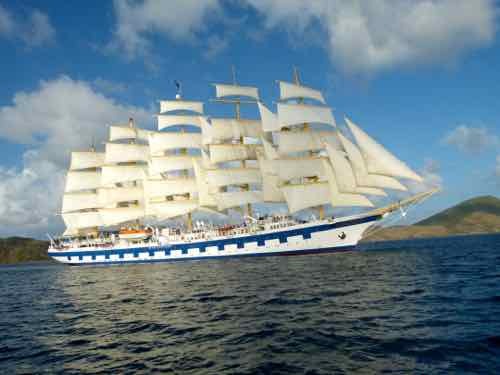 We sailed along the Windward islands on the Royal Clipper… a five-masted, full-rigged sailing ship. The itinerary began in Barbados and visited six islands… four of them were “new countries” for us… Another lure for us. We really enjoyed it when every night the sails were raised and we sailed away from the island of the day. We usually like to have more time exploring a destination, but we did get a taste for each island, and in this case, the SHIP was the destination. Cruising is fun for us when an "adventure cruise" is the only way you can experience something... and our 2015 travels added one more cool experience. 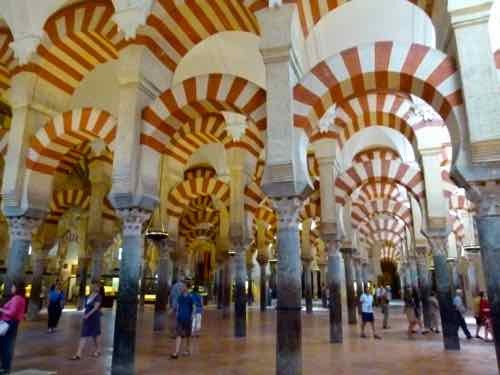 Yep, we were there just last year, and our 2015 travels took us back to Spain to see more of it. 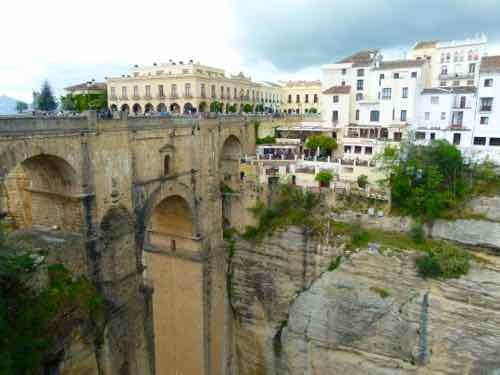 We started in Madrid and rented a car to drive a loop through Southern Spain. Met a tourist angel on our way into Granada. 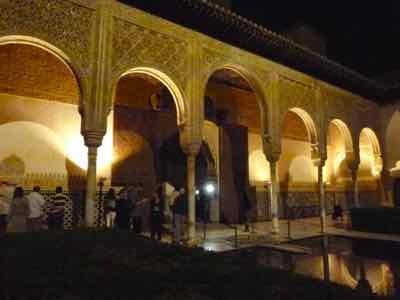 Saw the Alhambra by day and night. Toured the town and managed to squeeze in a Flamenco show. 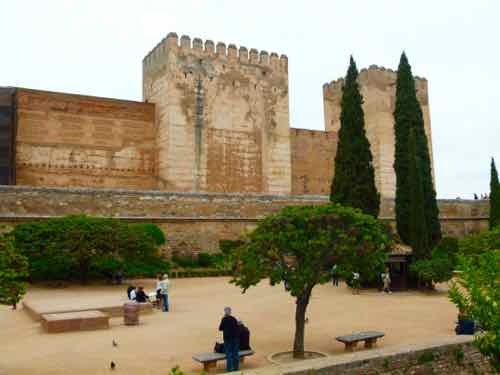 The Alhambra grounds by day. 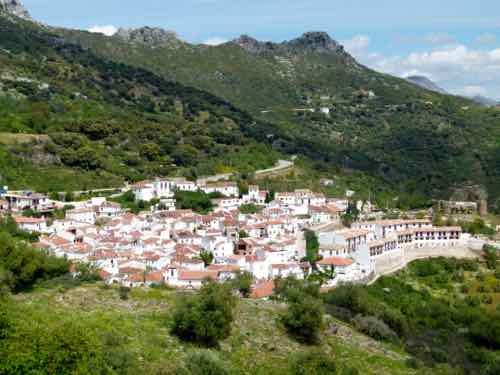 Visited some of the “White Cities” and the hill towns of the south, spent a night on the coast at Marbella. 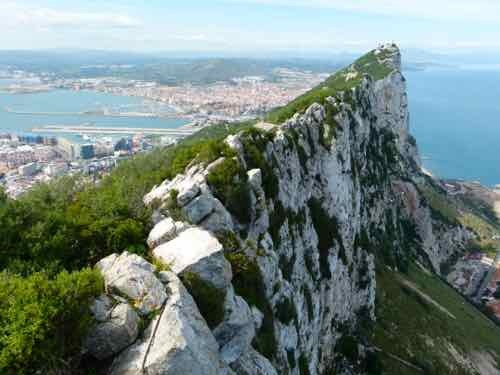 Drove across the runway into Gibraltar (Mark wanted pictures of THAT!). You can see part of the runway that crosses the peninsula... and Spain off in the distance... because, of course, when you're in Gibraltar... you're in the U.K., right? We stayed at The Rock Hotel and had fish and chips... why not? Visited Jerez to drink Sherry and see the Spanish Riding School. Managed to find the center of Seville without a tourist angel and spent a couple of days exploring. Finished with a visit to the Mezquita in Cordoba and more Flamenco… and a night in the Parador with a view over Toledo. Finished with a visit to Spain’s air museum at Cuatro Vientos Airport. May 8 was the 70th anniversary of VE Day. Washington Monument with planes... really! 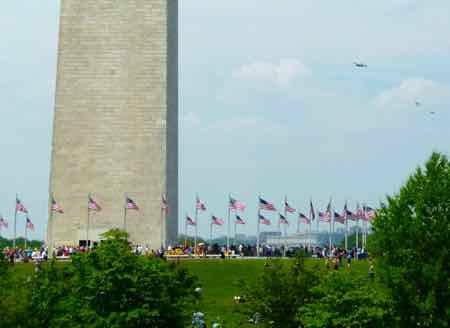 There was a ceremony at the WWII monument and display of WWII airplanes called the Arsenal of Democracy Fly-over. We were next to the Washington Monument for the actual fly-over, but spent the day before at Culpeper Airport where most of the planes were staging and all went up for practice flights... We actually saw them better there. It was terrific being at the Washington Monument, but hard to get photos from there. 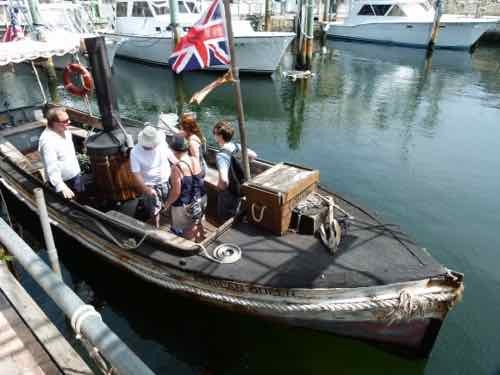 The African Queen… as in the boat from the movie. AND you can ride on her. It’s only about an hour putt-putting down a canal and barely out into the ocean, but fun. 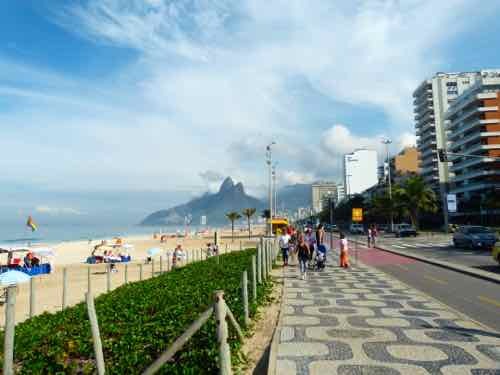 Flew to Rio where we spent 4 days seeing the tourist sights… the beaches, Corcovado, Sugarloaf and the bar where the “Girl From Ipanema” was written. 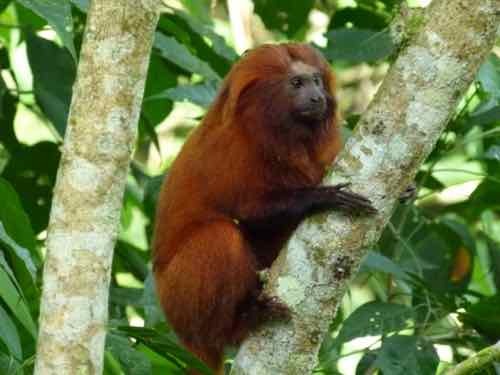 We took a day trip about two hours away to the Atlantic rain forest to see Golden Lion Tamarins… cute little monkeys. Also went out to the Museo Aeroespacial to see what that aviation museum has… and it’s a pretty good collection that we’ll write about on antique-airplanes.com. The first “adventure” segment of the trip (as through Rio wasn’t an adventure all by itself!) was to Wolf Camp. A couple of flights to the north-east, dry part of Brazil... then a 4 hour drive. 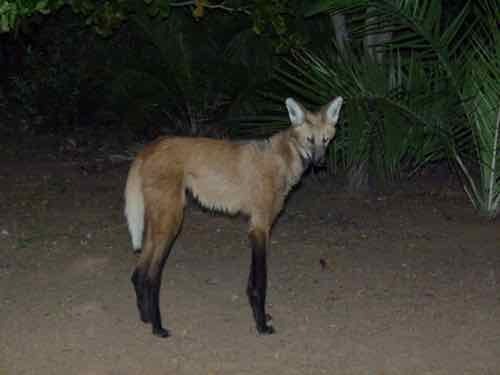 We saw those Maned Wolves I mentioned. They aren’t true wolves, but they are beautiful animals. 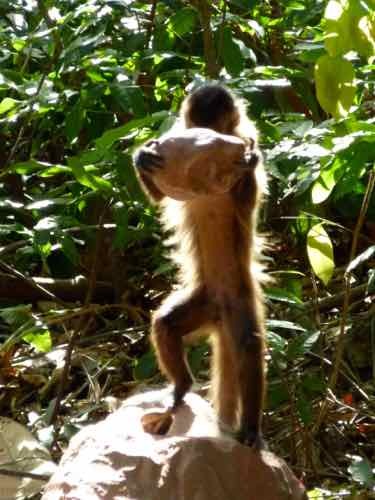 Also saw Hyacinth Macaws, some foxes, marmosets and agoutis and a group of Bearded Capuchin Monkeys that use rocks to break open palm nuts. Clever little guys! 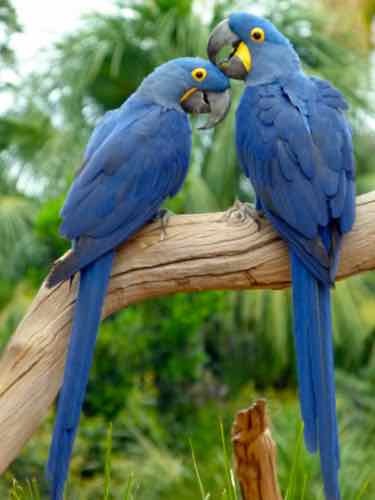 Backtracked our drive and flights through Brazilia and Cuiaba and drove the Transpantaniera to Porto Jofre, then a boat ride to our “Flotel”. From there we took to boats morning and afternoon to cruise up and down the little rivers looking for Jaguar. 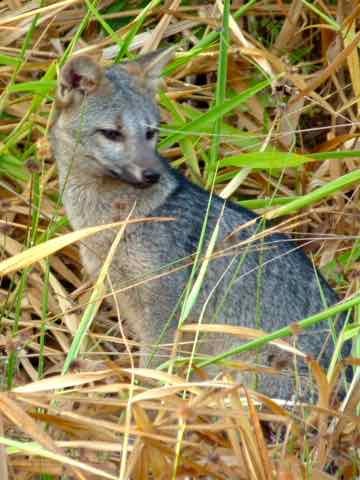 The cats have gotten used to the boats, so they don’t run… got some great sightings… and they tell us we were unlucky not seeing more! Ended our stay in Brazil in Sao Paulo so that Mark and I could drive about 4 hours north to Sao Claro to see the TAM Aviation Museum. A great museum, but a real challenging drive… at least in Sao Paulo! This was a whole different trip than our visit to Brazil 10 years ago... still just as much fun... maybe more. As though two air museums weren't enough on that trip to Brazil... our 2015 travels had us flying straight on up to the AirVenture in Oshkosh... some great antique airplanes there too! 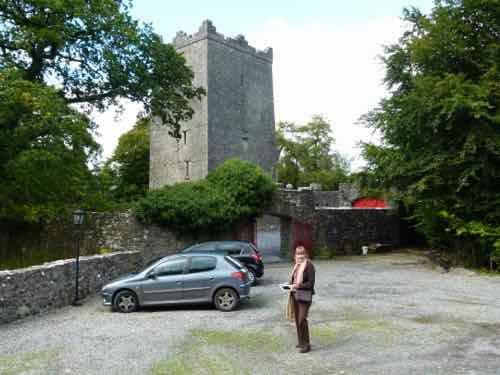 We rented a car in Shannon so we could ramble in a big circle around parts of Ireland that we’d never been to. …then stayed in a castle. …and stayed in a castle. Yep, and this little gem is where we were given the keys. That's right... they gave us the keys to the castle for the night! 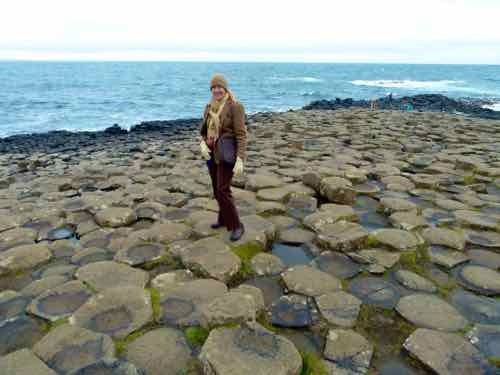 We also visited the neolithic sites of Newgrange, Knowth and Loughcrew….. and found our way to the Breaghmore Stone Circles, then headed into Northern Ireland to see the Giant's Causeway and attend an air show at Portrush. Started to close the driving circle by visiting Derry where we walked the city walls, stayed in a B&B for a change and had great fun listening to music in a pub…. Did you know Amelia Earhart landed near Londonderry when she was the first woman to fly across the Atlantic solo? 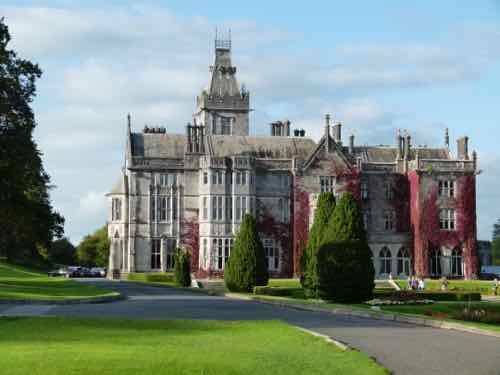 …where we stayed in a castle. Near Clifden is the site where British aviators Alcock and Brown ended the first non-stop transatlantic flight in 1919. On down the coast to Galway, then the Cliffs of Moher, the Burren, and finally back towards Shannon. 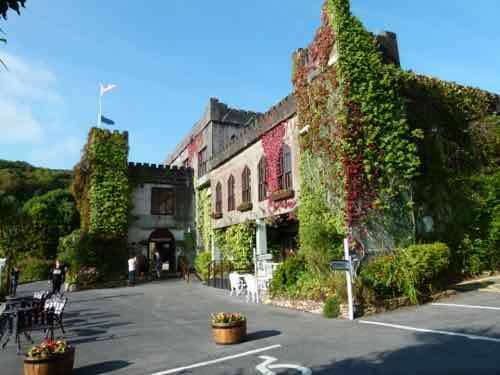 …we stayed in a castle! 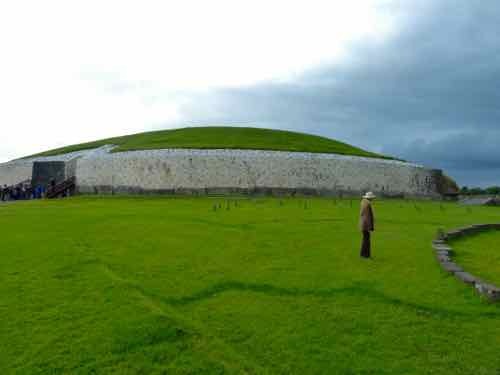 Pubs, neolithic sites, airplanes, castles and Irish beer… what fun! Let me just say one thing about those castles stays. They were a splurge for us. If you look them up on internet booking engines, the prices will mostly scare you away. 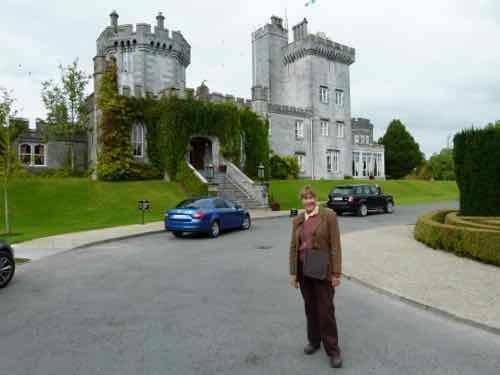 We arrived at the castles late in the afternoon and check to see if there was a room available... and we were lucky enough to get a room within our "splurge budget". Many people don't like traveling without hotel reservations, but if you try to travel this way, you can find some memorable places to stay at the last minute. But why stay in just any old hotel when we could stay on the Delta King Hotel. 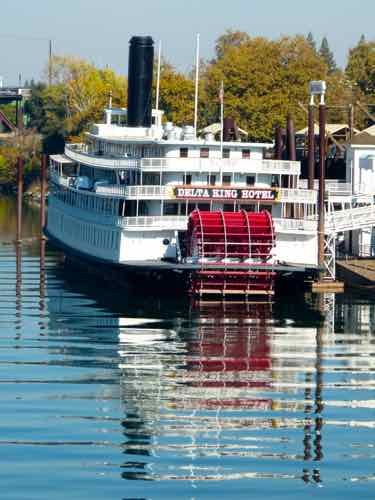 The Delta King is a restored 1927 riverboat. It is permanently docked in Old Sacramento near the California State Railroad Museum. It is the sister ship of the Delta Queen which we traveled on years ago on the Ohio River. The two riverboats originally provided transportation between San Francisco and Sacramento in the 1920s and 30s. Little adventures are always good too. Have we inspired you to plan for one of these destinations? We’re starting to think about where we want to go next year. No decisions made yet, but there is still a lot of the world to explore, and we're not going to stop! Remember, these photos of our 2015 travels can be viewed in a slide show too. Write us a travel story about your 2015 travels... or any year. We also welcome your comments below on this page or any of our pages. Like us on Facebook, we put photos up there too occasionally. Return from 2015 Travels to Home.